Automation companies are drivers of innovation, and have penetrated near every industry and geographic region across Canada, be it big cities or small towns. And they continue to grow in terms of the technological advancements they drive and the within the communities they support. In Barrie, Ontario Innovative Automation represents this perfectly. As an automation expert they are pushing the boundaries of technology while maintaining a family and community oriented philosophy both in the shop and the wider community. EIN was given the opportunity to ask Steve Loftus, President and co-founder of Innovative Automation, about himself, the company and what continues to drive its success. I have always worked in the manufacturing sector, even as far back as High School and College working in a Welding Fabrication Shop. After college I worked for in the tire industry serving an apprenticeship as an Electrician. After I joined an automation company and worked there for 5 years setting up and managing their controls group. At the time of hiring I was the department manager and grew the department to 20 people before leaving to co-found Innovative. One of my key roles as President is to set the vision for Innovative Automation. I am passionate about learning and encouraging young people to be the best they can be, so I encourage my employees to grow, both at work and in the community. I am a hands-on leader, and try to lead by example. What is the history of Innovative Automation and what you see in the near future for the company? Innovative Automation was founded in 1989, by founding partners Jim Carnegie, Paul Tyndall and Steve Loftus. Jim and Paul have since retired and I continue to lead the company as President with new partners Mike Lalonde and Matt Setterington. Innovative has always been proud to be a quality supplier of custom machines, with our focus squarely on the total cost of ownership and not the purchase price. This direction has allowed Innovative to supply quality solutions, that may require a slightly larger initial investment, but through the life of the machine cost less to operate based in improved uptime and reduced repair costs. Our value proposition is our ability to be flexible and respond to customer needs. We can perform a $50,000 retrofit for a customer, or we can design, build and install a $5 million high tech automation system. We work closely with our customers to build equipment that captures both their current and future needs, while keeping the total cost of ownership low. We build our business by building long-lasting relationships. Innovative will continue with the rapid growth from the last 2 years as we prepare to move to our next chapter at a new 63,000 square foot state of the art facility at 625 Welham Road in Barrie. This move will be complete by February 2018. The Innovative team has grown from 53 people in 2016 to our present 110 with an additional 29 people being hired to support our continued growth at our new location. We continue to grow with the addition of highly educated and motivated young workers. Over 40% of our staff is under the age of 30. This youth movement has brought a renewed energy to Innovative that will lead it in coming years. What industry sectors does your company typically work in? Are you primarily servicing the Canadian market? Or do you find there is growing demand for projects to be undertaken taken here but shipped globally? Or vice versa, has the local market changed to demand more of your work stay within the country? Our vision is to be the first-choice provider of automation solutions to global leaders in manufacturing. Innovative continues to supply primarily countries within the NAFTA agreement, but as a company there is a forward focus on becoming a global supplier for our customers. Throughout 2017 Innovative worked with BDC to develop an international business development plan. Along with our plan for expansion to Europe, we will be focusing increased attention on our existing market in Mexico, which is projected to be the world’s fourth largest producer of luxury vehicles by 2020, due largely to the high standard and competitiveness of Mexican labour. We are proactively seeking partners globally to assist in installation, commissioning and service at a local level around the world. As step 1 to our international development plan, I just returned from a trip to Germany, where we met with several customers to discuss strategies for a global platform. Innovative has always been a company that will lead with technology. We have a vision for the future that involves investing in employees and continuously improving. Employees are encouraged to be at the top of the accountability ladder “Making it happen”. Our goal is to coach employees to put the puzzle together when some of the pieces are missing. We build automated equipment—that means we must be creative every day. We need fresh ideas and a thorough understanding of new technology, risks and hazards. We are focused on continued training efforts to ensure we are offering a cost-effective solution in the latest technologies. Innovative has always encouraged our team to “think outside the box” to generate new cost-effective methods to apply the latest technologies. We also believe in “growing our own” employees, developing the skills of our young workers to where they need to be, instead of waiting for someone else to supply trained skilled labour. 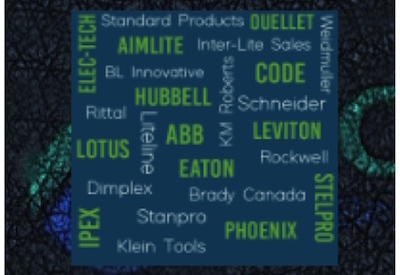 New in 2018—Innovative will drive annual supplier technology updates, starting in February by inviting our suppliers to showcase their technology together at our open house. Of the industry sectors you service which do you see having the greatest shift or advancements in the near future? All technologies involving vehicle avoidance system will see the greatest advancements. This is a rapidly growing sector that will continue to see application of the greatest new technologies. You mentioned Innovative will soon be moving, what has driven this relocation? Our rapid growth over the past 2 years as meant the addition of a second location. Though this was a way to handle the rapid growth, it has led to some inefficiencies with we will address once we are all in one location. The new location will allow for the projected growth of the next 3 to 5 years. Could we have a little detail on the direction of your recent projects? As Innovative continues to grow so do the size of projects. Over the past 2 years we have several times taken on our largest projects to date. This is a trend that continues to repeat itself. We continue to work with our customers to develop processes to apply new technologies, in the area of the application of more energy efficient systems and more reliable vehicle sensing systems. What else makes Innovative Automation unique? B) Our culture also sets us apart. In Feb 2016 Innovative took a survey of employees and asked everyone to describe our culture. What does it mean to work at Innovative? Armed with over 100 responses, we sat down as a management group and put it all together in the form of a new vision statement, mission statement and corporate social responsibility statement. These statements form an integral part of our new website. In Feb 2017 we circled back and reviewed these new statements with all employees, including those who were part of the survey last year, and asked if the statements reflected a true picture of life at Innovative. The result was a resounding yes. The best part of our culture is our ability to keep that family feeling, despite the challenges of now having 2 plants and over 110 employees. Families help each other and keep each other safe. We strive to know everyone personally. Barrie, and Simcoe County, still has that small-town feeling. Innovative Automation is a clear example of the advancement that technology has delivered for those that are ready and willing to rise to the challenge. The community driven focus and effort to drive young individuals into a growing employment sector sets Innovative Automation apart. As they continue to expand we look forward to watching just how innovative their young workforce will be for the future of the industry and the community within which they reside.